Prepare yourself for the best arrival experience possible by knowing how you’re going to get from the airport to your destination. Landing in Hawaii is hella exciting! 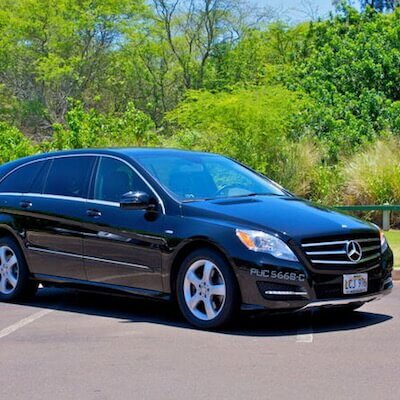 It can also be daunting, especially if it’s your first time and you haven’t booked Oahu airport transfers. All international flights direct from Australia to Hawaii land on the island of Oahu at Daniel K. Inouye International Airport (formerly known as Honolulu International Airport). • TheBus is Oahu’s island-wide public transport system. It serves Daniel K. Inouye International Airport, but it’s not advisable to catch TheBus on arrival due to strict baggage rules. No backpacks with metal frames, no bag may be larger than 22″ (55 cm) x 14″ (35 cm) x 9″ (22 cm), and all bags must be able to be placed under the feet or on the lap without protruding into the aisle way. • Catching a taxi at Daniel K. Inouye International Airport is easy, but there can be a significant wait depending on the time of day. • To grab a taxi, proceed through Baggage Claim and exit the terminal. Cross the street to the centre of the median strip to find the taxi stands and look for the taxi dispatchers in yellow shirts. • Taxi fares are metered. A ride from Daniel K. Inouye International Airport to Waikiki will cost from USD40.00 (depending on traffic). Add 10-15% tip plus a baggage charge of USD1.00 per bag. • Not all taxis in Hawaii accept credit card. It is recommended to have USD on hand or let the taxi dispatcher know you can only pay by credit card. • Uber and Lyft enable you to hire on-demand private drivers. Under a pilot project Uber and Lyft have the ok to pick up at Honolulu’s airport (subject to change). These ride sharing apps are an affordable option for airport arrivals and departures. There are two designated pick-up areas at Daniel K. Inouye International Airport, see map for locations. Just make sure you’ll have data available on your smart phone upon landing. • Uber/Lyft are cheaper than taxis. Rides are charged directly to a credit card you set up in your account; it’s about cashless convenience. 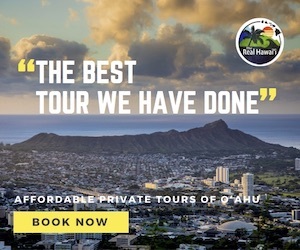 • They are also an excellent way to travel in and around Waikiki, Diamond Head, Kahala, Ala Moana, Kakaako, Downtown Honolulu and further afield to Hawaii Kai, Ko Olina and Kailua. 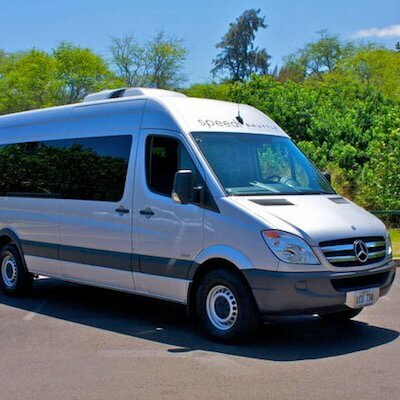 • Ease any travel nerves by pre-arranging Oahu airport transfers! Enjoy peace of mind knowing a friendly local will be there to meet and greet you on arrival at Daniel K. Inouye International Airport, and sit back and relax on the drive to your destination. 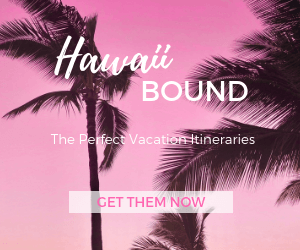 • Arrival, Departure or Round-Trip Oahu Airport Transfers (Shared or Private) to Waikiki, Kahala, Koolina and Turtle Bay, can be booked in my Hawaii Activity Shop. You will receive a detailed confirmation and transfer instructions upon booking, including the local transport companies contact details. • Registration counters are located in the Baggage Claim area. On airport rental car offices are located on the ground level opposite Baggage Claim G. Car rental shuttles stop in designated areas along the center median on the ground level outside of baggage claim areas. 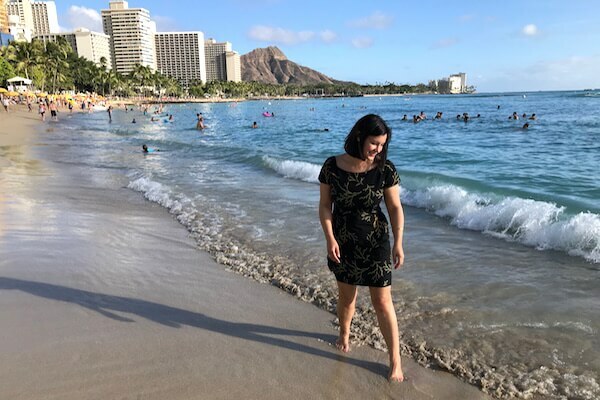 • Considerations to make when hiring a car on Oahu include the cost of overnight parking, this can easily cost up to USD38 per night in Waikiki. It is common for visitors to hire a car (convertibles and Jeeps are popular) for day trips only, to explore the south-east coast, north shore or self-drive their own circle island tour. This means hiring a car for one day or two days, rather than the entire stay. Alamo and Hertz have convenient pick-up locations in Waikiki. • The Hawaii Admirer has a partnership with APTMS, an Australian travel company who represent Alamo Rent A Car. They make it easy for you to pre-book Hawaii car hire with Alamo, picking up your vehicle at Daniel K. Inouye International Airport. Click here to details.